What we are suffering from is fear induced by the actions of parental injustice, the antidote to this induced fear is truth/trust. Our forever buried weeping mind is suppressed through the persistence into adult life of childlike emotion survival/coping strategies – a type of emotional paralysis that rubber bands us back into a traumatised childhood. This form of irrational disability is defined as the application of patterns of thought derived from a different time context in childhood, which becomes seriously out-of-date and damaging in adult life. Here we appear to be acting and thinking in an entirely rational manner, in a way which would be entirely appropriate and realistic were we still children, which we are not. Dissociation caused by this form of irrationality has to be addressed for emotional maturity. 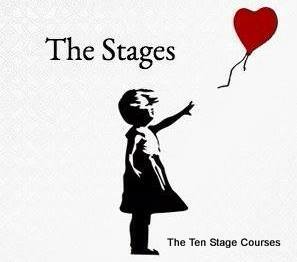 How is it to be grown in the application of the ten stages, when this happens in these stages the needs and actions of the child are met and the dissociation evaporate entirely.